and “party in my mouth” being thrown around. This makeover won’t soon be forgotten. now dressed up for a decadent weekend brunch. I'm excited to be contributing my first post over at Whole Lifestyle Nutrition! Please head on over to WLN for the complete recipe by clicking the link below. I love, love, love breakfast food and am crazy about baked oatmeal. 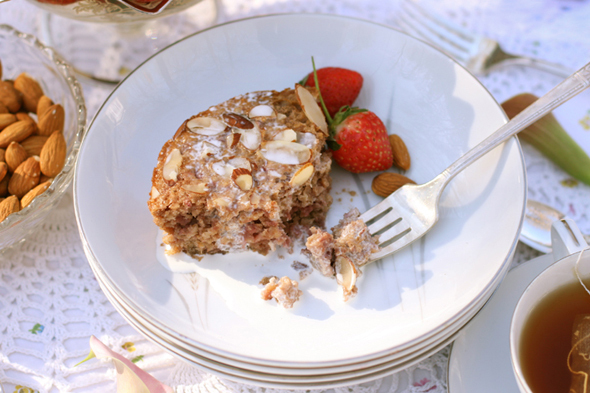 Here's my blog for all my baked oatmeal recipes, tried and tested by me. Unless otherwise specified, the recipes are created by me. Here's to never eating boring oatmeal again!